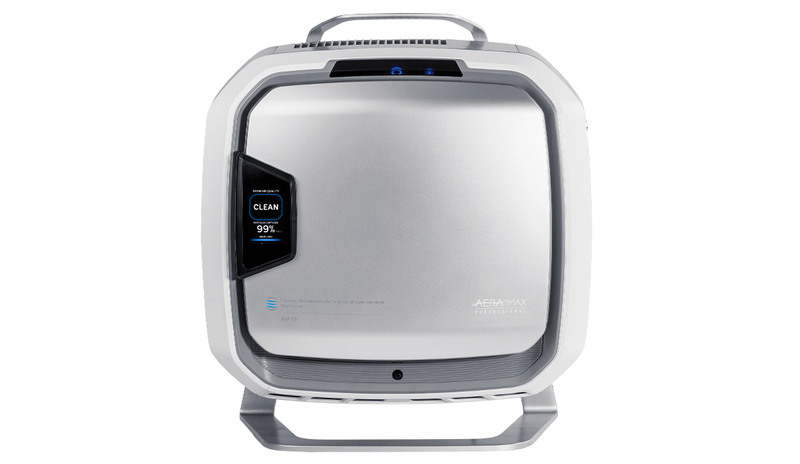 The AeraMax Professional III commercial air purifier. A perfect fit for mid-sized spaces. 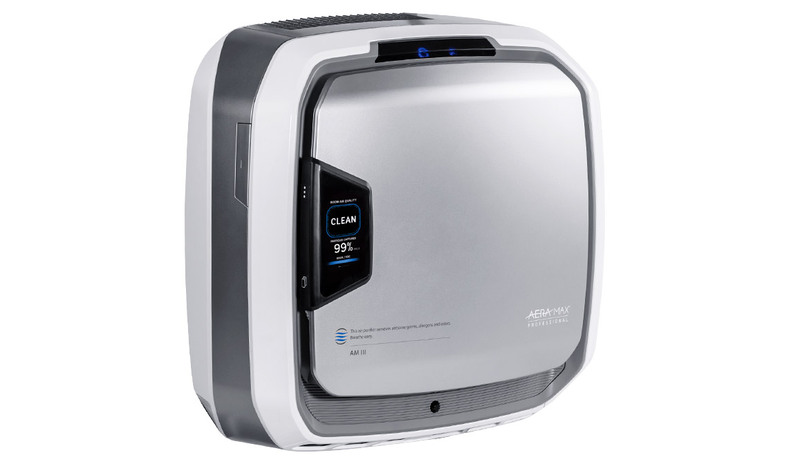 The AeraMax Professional III is an ideal commercial air purifier for medium-sized rooms, with CFM to cover areas from 300 to 700 square feet. 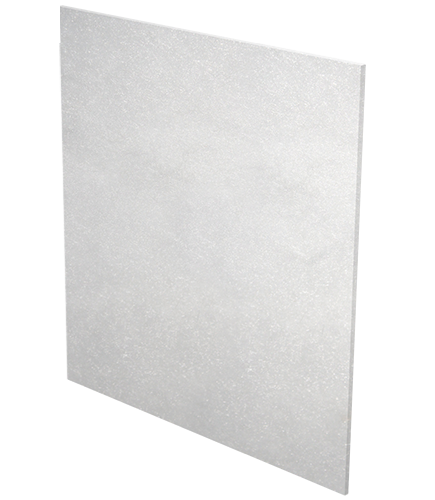 It’s great for public restrooms, exam areas, smaller lobbies and waiting rooms, offering occupants the opportunity to breathe in air that’s virtually free of airborne contaminants. 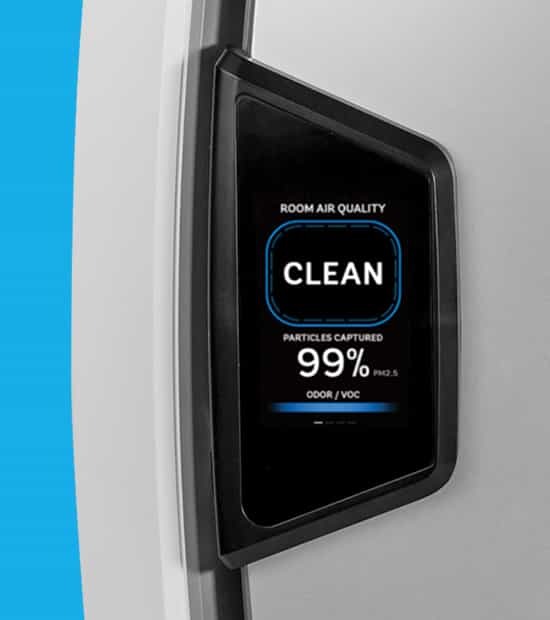 See the future of air cleaning with PureView™ Technology. With our optional PureView technology, you can watch air cleaning in real-time. 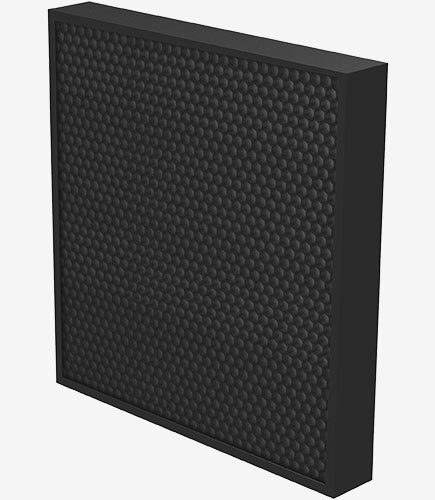 EnviroSmart 2.0 sensors continually analyze the air in the room, activating our filtration system when bad air is present. The PureView digital displays continually read the room, showing you the cleaning process, and you’ll get a readout of the percentage of particles captured. 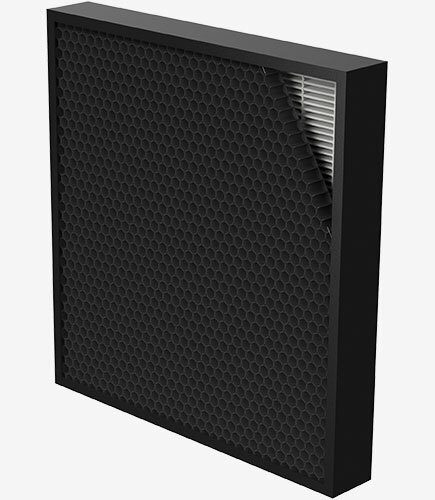 Thanks to two high grade laser PM2.5 sensors, you’ll also be able to see the quality of the air as it enters and leaves the unit as well as a real-time VOC level visual. PureView is advanced technology—but it’s also advanced design. In fact, it was honored recently in the Good Design Awards for 2018. The recognition is the oldest and most prestigious global award program for design excellence and design innovation. See how PureView™ technology can help you. Available in multiple sleek color options. Contact us for custom design order information. 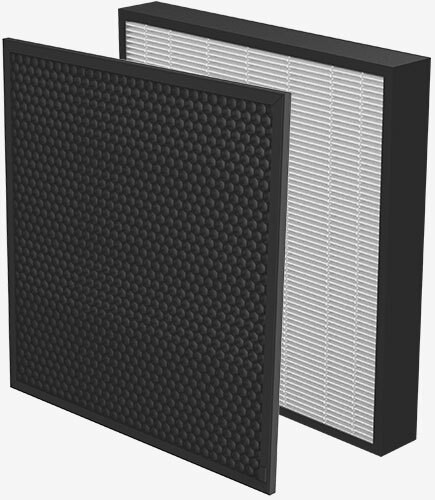 Captures large particulates like dust and hair to keep carbon filter working effectively.